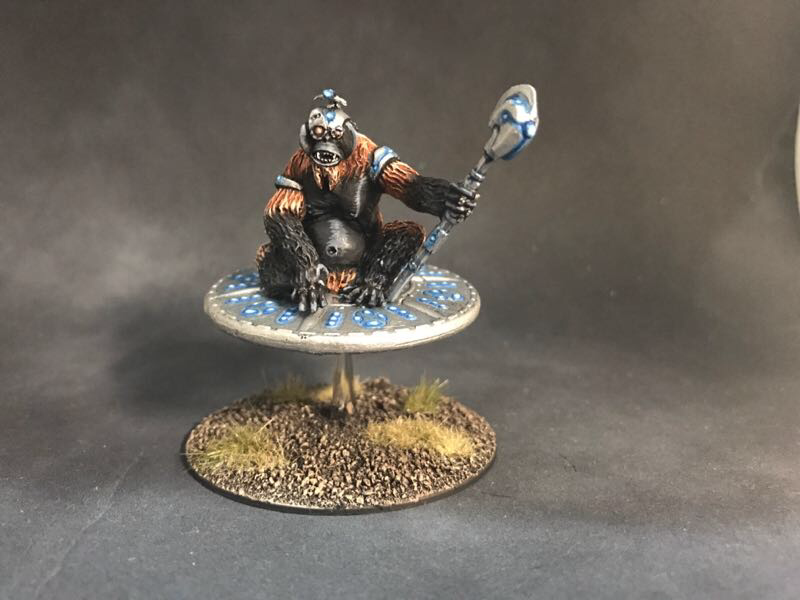 We finally managed to get our first Tamarin Patriarch painted up and ready for battle and we hope you like it. He is a big guy. Stretched out he would be taller than an ogre (and twice as dangerous) The Patriach represents our second wave of Space Chimp releases. Keep on the look out for the tiny Moon Monkeys, Retinue Guard and the Tamarin Wardisc.